Located in the center of the country's heartland, Warrensburg is just an hour's drive from Kansas City, four hours from St. Louis, and three hours from Branson, Missouri. Warrensburg residents are in the enviable position of being able to enjoy the attractions of metropolitan areas and the advantages of small-town life. Unlike purely suburban areas, Warrensburg is a self-contained city with a vibrant employment base, active cultural scene, and many civic events and activities. 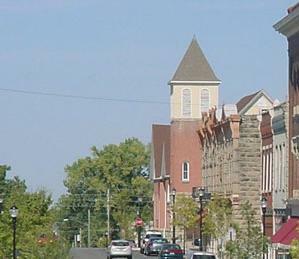 Warrensburg also serves as the county seat of Johnson County. The City of Warrensburg provides basic police, fire, street maintenance, sewer, animal control, building inspection, and planning and zoning services within the city limits. In addition, the city provides animal shelter services to all of unincorporated Johnson County. The city's Park and Recreation Department has 12 park areas with a total of 402 acres, and a Community Center. The city has 125 full-time and approximately 200 part-time employees.